To choose a windsurfing sail for ice boarding is quite simple or quite complicated. To start with any windsurfing sail/rig will do. However pretty soon you will start to fine tune your equipment and compare your results with your friends or other riders on GPSicesurfing.com. Congratulation the poison is in your system. Read more about sail twist, sail sizes and bend curves. 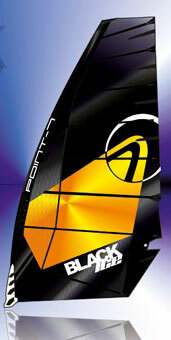 Point-7 has designed a sail concept for Ice Boarding. Low downhaul tension will give you a tight leach and high performance.